Dell - Inspiron 20 3045 Dell Inspiron 20 3045 Series AMD E1-2500 1.4GHz EM2500IBJ23HM Processor All-In-One Motherboard 09XW6 009XW6 CN-009XW6. Gateway - Gateway ZX4250 Gateway ZX4250 Series AMD E350 1.6GHz EME350GBB22GT Processor All-In-One Motherboard DB.GE211.001. Dell - Inspiron One 2020 Dell Inspiron One 2020 Series Intel Socket LGA1155 All-In-One Motherboard YXG0N 0YXG0N CN-0YXG0N. Dell - Inspiron One 2020 Dell Inspiron One 2020 Series Intel Socket LGA1155 All-In-One Motherboard D13T6 0D13T6 CN-0D13T6. Lenovo - Flex 20 Series Lenovo Flex 20 Series Intel Core i3-4010U 1.70GHz SR16Q Processor All-In-One Motherboard 90003703 11S90003703. Asus - ET2410I Asus ET2410I Series Intel Socket LGA1155 All-In-One Motherboard 60PT0040-MB2A01. Hewlett Packard - Touchsmart 23SE Series HP Touchsmart 23SE Series IPSHB-LA Larkspur-GS Intel Socket LGA1150 All-In-One Motherboard 732130-002. 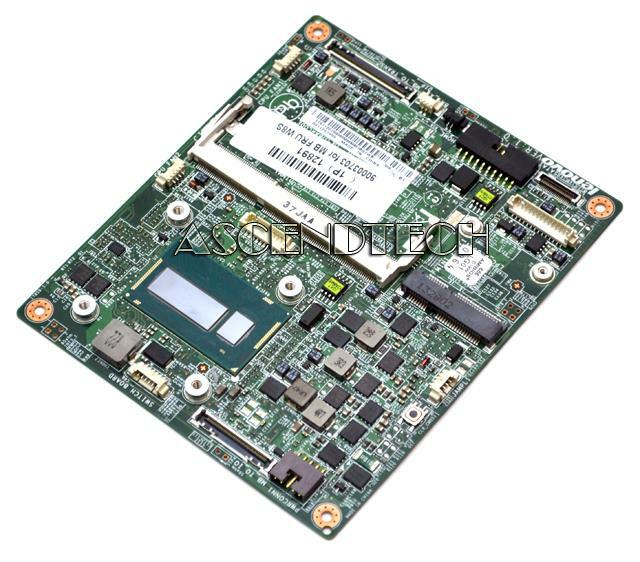 Hewlett Packard - PAVILION 20-B Series HP Pavilion 20-B Series Azara2 AMD E1-1200 1.40GHz EM1200GBB22GV Processor All-In-One Motherboard AABRZ-AB 698060-001. 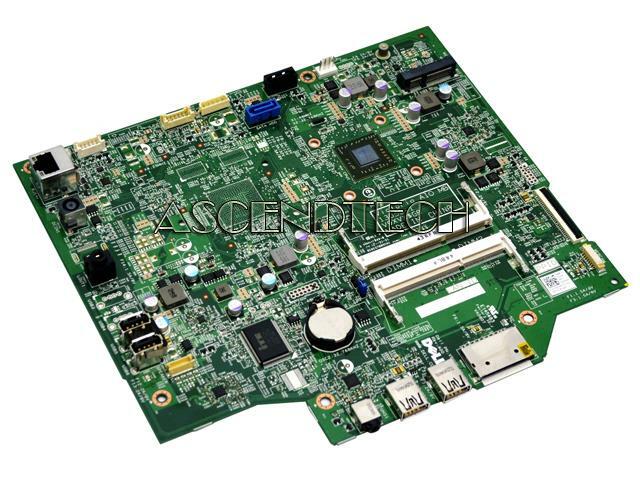 Hewlett Packard - Presario CQ1-1000 Series HP Compaq Presario CQ1-1000 Series Intel Atom D410 1.66GHz Processor Sanxia All-In-One Motherboard IPPPV-TX 626780-001 599988-001 599988-201. Hewlett Packard - Pavilion TS 21-H 23-H HP Pavilion TouchSmart 21-H 23-H AIO Series AMD A6-5200 2.00GHz AM5200IAJ44HM Processor Dogwood All-In-One Motherboard 729228-001. 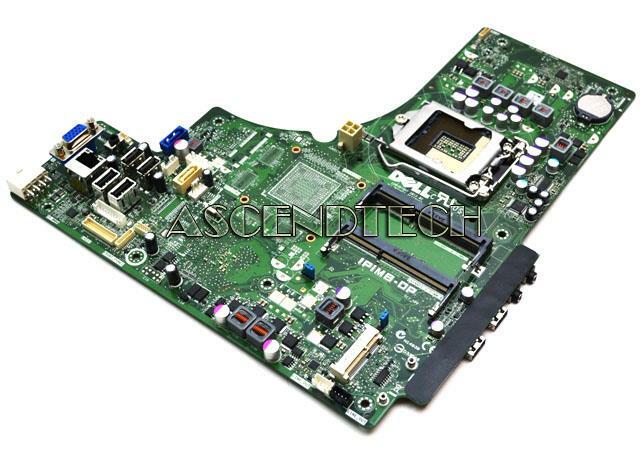 Dell - Inspiron 23 5348 Dell Inspiron 23 5348 Series Intel Socket LGA1150 All-In-One Motherboard XHYJF 0XHYJF CN-0XHYJF. 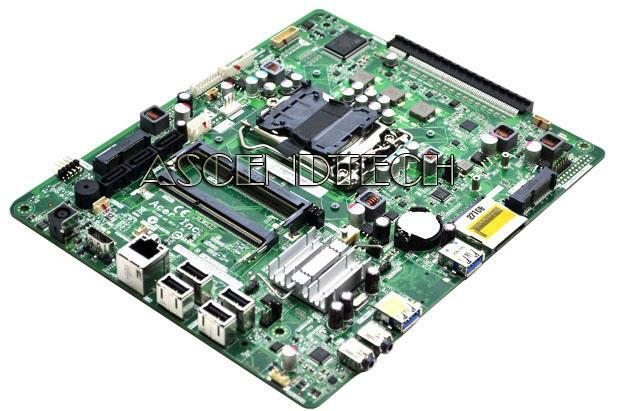 Hewlett Packard - Envy 23-C Series HP Envy 23-C Series Adenium-SB AMD Socket FM2 All-In-One Motherboard AAHD3-AD 699139-001. Dell - Inspiron One 2330 Dell Inspiron One 2330 Series Intel Socket LGA1155 All-In-One Motherboard HJH5X 0HJH5X CN-0HJH5X. 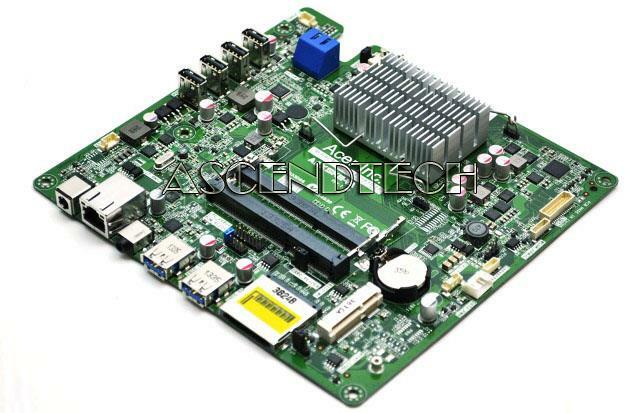 Acer America - ZX4270 Acer ZX4270 Series AMD A4-5000 1.5GHz AM5000IBJ44HM Processor All-In-One Motherboard DB.GET11.002. 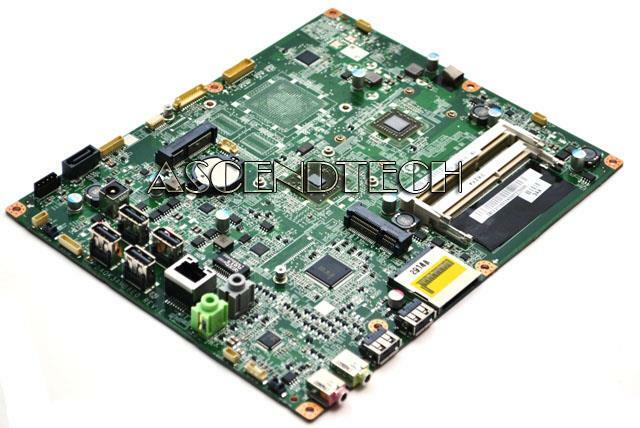 Hewlett Packard - Pavilion TS 20-F394 HP Pavilion TouchSmart 20-F394 Series AMD A4-5000 1.50GHz AM5000IBJ44HM Processor Aster All-In-One Motherboard 734719-001 734872-501 734872-601 AMPKB-CT.
Lenovo - IdeaCentre B540 Lenovo IdeaCentre B540 Series Intel Socket LGA1155 All-In-One Motherboard 90000176. 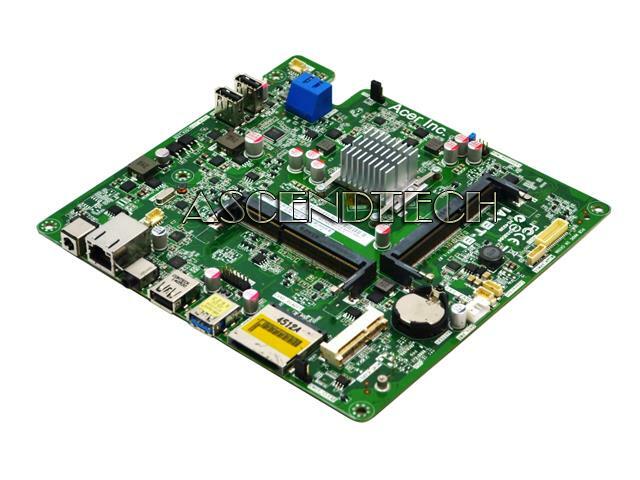 Lenovo - IdeaCentre A600 Lenovo IdeaCentre A600 Series Socket mPGA479M All-In-One Motherboard 11010870 48.3W001.011 PIG45F/MB 08124-1. Hewlett Packard - Pavilion 22 23 27 Series HP Pavilion 22 23 27 Series Intel Socket LGA1150 All-In-One Motherboard 799346-001. 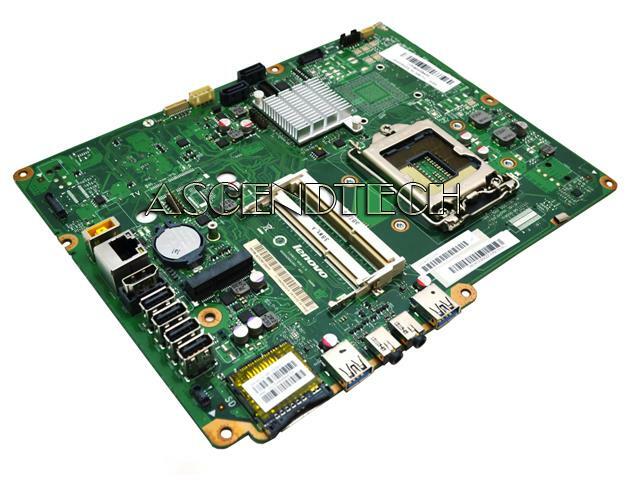 Hewlett Packard - Pavilion 23 HP Pavilion 23 Series Intel Socket LGA1155 Leeds-G All-In-One Motherboard 686070-001. Hewlett Packard - Pavilion Touchsmart 23-H HP Pavilion TouchSmart 23-H Series Intel Socket LGA1150 Lilium-U All-In-One Motherboard 729230-001. Dell - Inspiron One 2020 Series Dell Inspiron One 2020 Series Intel Socket LGA1155 All-In-One Motherboard MTFWP 0MTFWP CN-0MTFWP. Dell - Inspiron One 2020 Dell Inspiron One 2020 Series Intel Socket LGA1155 All-In-One Motherboard 7C0H8 07C0H8 CN-07C0H8. 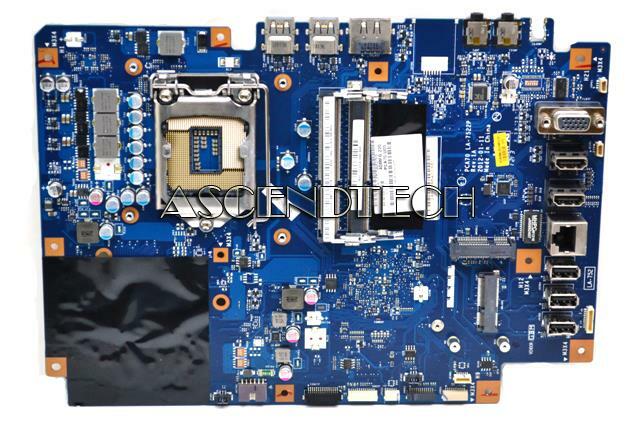 Dell - Inspiron One 2020 Dell Inspiron One 2020 Series Intel H61 Socket LGA1155 All-In-One Motherboard 4N8P4 04N8P4 CN-04N8P4. 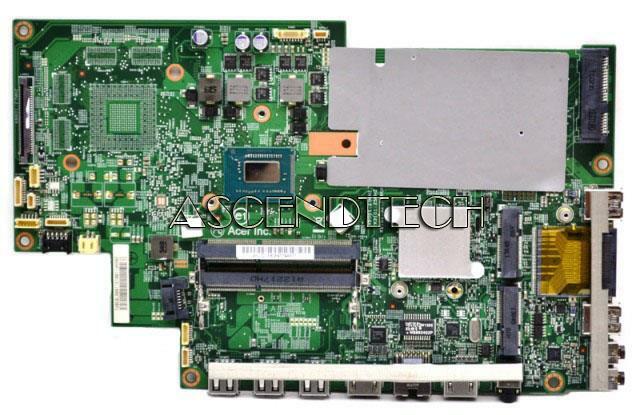 Sony - Vaio VPC-F2 Series Sony Vaio VPC-F2 Series Intel Socket 989 All-In-One Motherboard 185787231 1-857-872-31. 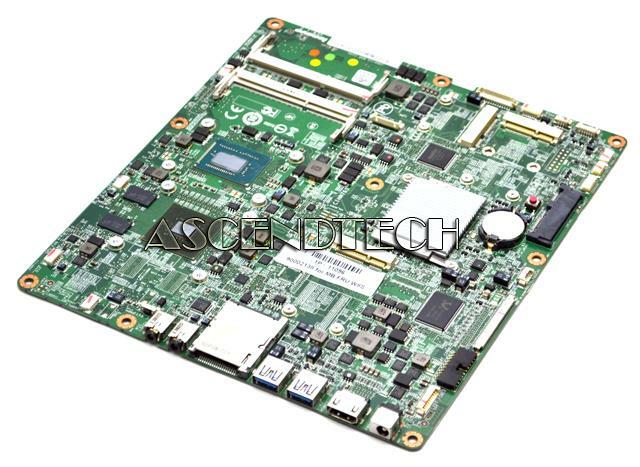 Acer America - Aspire AZC-606 Acer Aspire ZC-606 Series Intel Celeron J1800 2.41GHz Processor All-In-One Motherboard DB.SWB11.002 69M10DCA0A01. 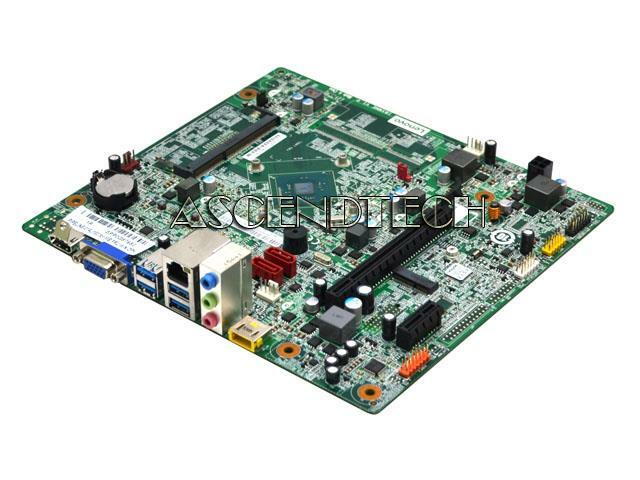 Hewlett Packard - Envy 24-N 27-P Series HP Envy 24-N 27-P Series Intel Socket LGA1151 Bulldozer-GT All-In-One Motherboard IPSKL-BD 797425-002. Hewlett Packard - Envy TS 23-C 23-D Omni 27 HP Envy TouchSmart 23-C 23-D Omni 27-1200 Series Intel Socket LGA1155 Lavaca3-SB All-In-One Motherboard 696484-002. 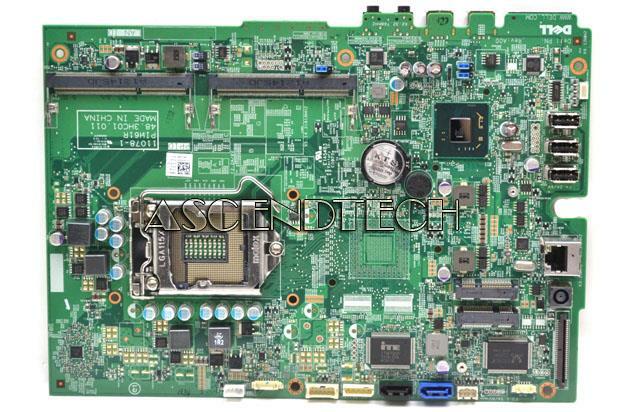 Sony - Vaio SVL24 SVL24112FXW Sony Vaio SVL24 Series Intel Socket rPGA989 All-In-One Motherboard 1-895-142-21 189514221. Gateway - ZX6971 Series Gateway ZX6971 Series Intel Socket LGA1155 All-In-One Motherboard DB.GDT11.001. 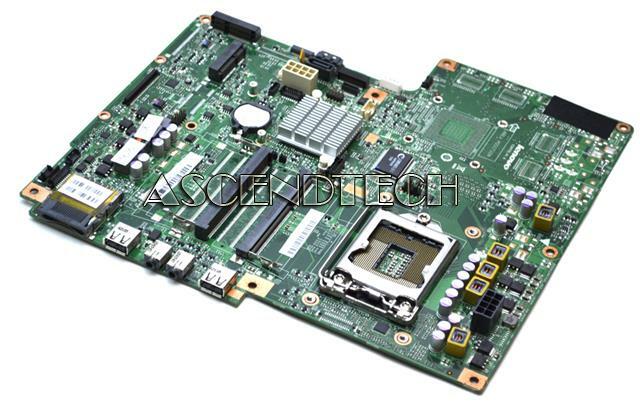 Dell - Inspiron One 2320 Dell Inspiron One 2320 Series Intel Socket LGA1155 All-In-One Motherboard NV103 0NV103 CN-0NV103. Lenovo - IdeaCentre 300S-11IBR Lenovo IdeaCentre 300S-11IBR Series Intel Pentium N3700 1.60GHz Processor All-In-One Motherboard 01AJ183. Gateway - MB.GCH0P.001 Gateway ZX6971 Series Intel Socket LGA1155 All-In-One Motherboard MB.GCH0P.001. Lenovo - Ideacentre 700 Lenovo Ideacentre 700 (F0BE0000US) Series Intel Socket LGA1151 All-In-One Motherboard 00UW015 (1P)00UW015 00UW014 11S00UW014. Lenovo - C360 C460 Series Lenovo C360 C460 Series Intel Socket LGA1150 All-In-One Motherboard 90005433. Hewlett Packard - Envy TouchSmart 20-D Seri HP Envy TouchSmart 20-D AIO Series Intel Socket LGA1155 Larrybird-B All-In-One Motherboard 684854-001. 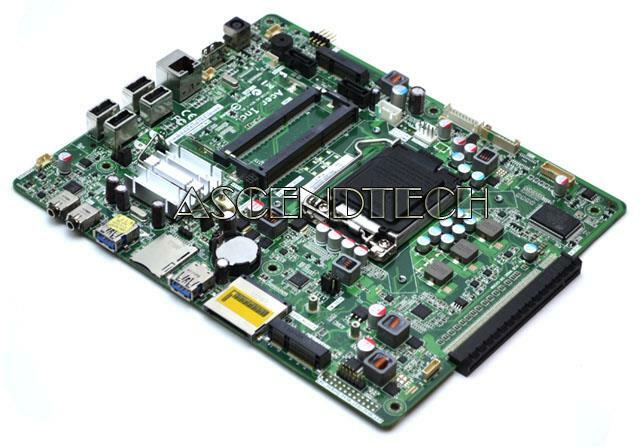 Hewlett Packard - TouchSmart 320 HP TouchSmart 320 Series AMD Socket FM1 Angelino2-UB All-In-One Motherboard 653845-001. Hewlett Packard - Omni 27 TouchSmart 520 HP Omni 27 TouchSmart 520 Series Lavaca-SB Intel Socket LGA1155 All-In-One Motherboard IPISB-NK 646748-001. Toshiba - LX830 LX835 Series Toshiba LX830 LX835 Series Intel Socket rPGA989 All-In-One Motherboard V000298080. Lenovo - IdeaCentre Horizon 27 Lenovo IdeaCentre Horizon 27 AIO Series Intel Core i5-3337U 1.80GHz SR0XL Processor All-In-One Motherboard 90002138. 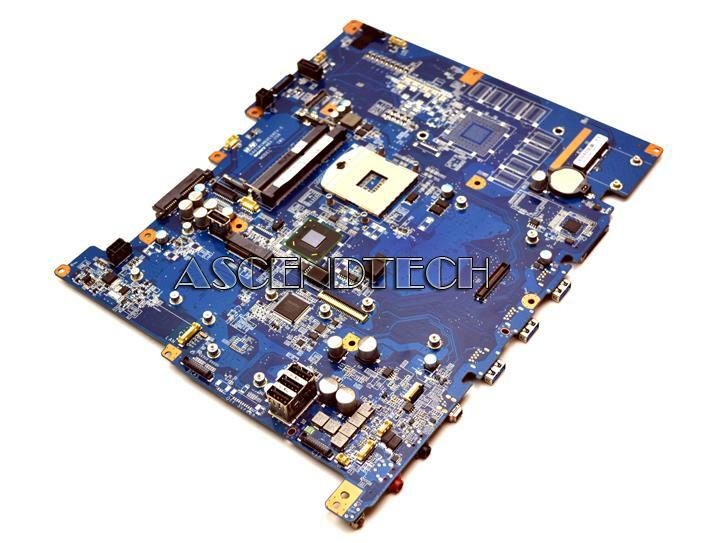 Lenovo - C560 Touch Lenovo C560 Touch Series Intel Socket LGA1150 All-in-One Motherboard 90005366. Lenovo - IdeaCentre C460 Lenovo IdeaCentre C460 Series Intel Socket LGA1150 All-In-One Motherboard 90005399. Gateway - TouchSmart ZX4300-01E Gateway TouchSmart ZX4300-01E AMD Socket AM3 DDR3 All-In-One Motherboard MB.GAW06.002. Hewlett Packard - Envy 23-K 27-K Series HP Envy Recline 23-K 27-K AIO Series Intel Socket LGA1150 Laurel2-1G All-In-One Motherboard 762406-001. 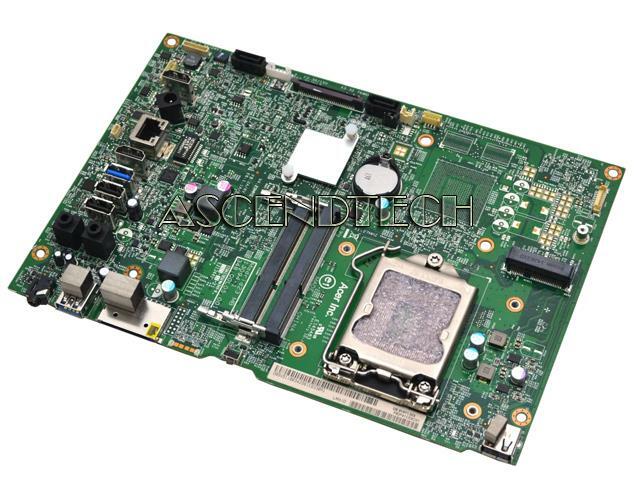 Dell - Inspiron One 2320 Dell Inspiron One 2320 Vostro 360 Series Intel Socket LGA1155 All-In-One Motherboard 6D4YP 06D4YP CN-06D4YP. Gateway - TouchSmart ZX4300 Gateway TouchSmart ZX4300 Series AMD Socket AM3 All-In-One Motherboard MB.GAW06.003.